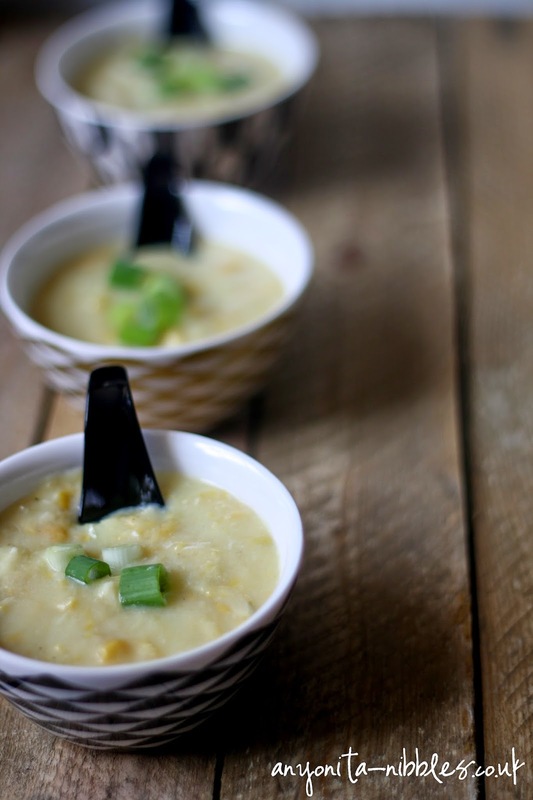 The best thing about this soup is that you can use tinned, frozen or fresh sweetcorn. 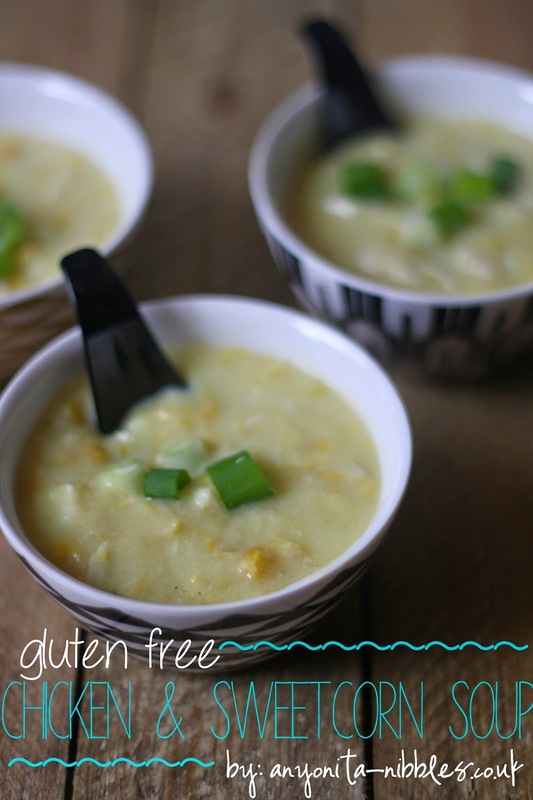 Use baby sweetcorn or normal sweetcorn for a clear, almost translucent version of the broth. 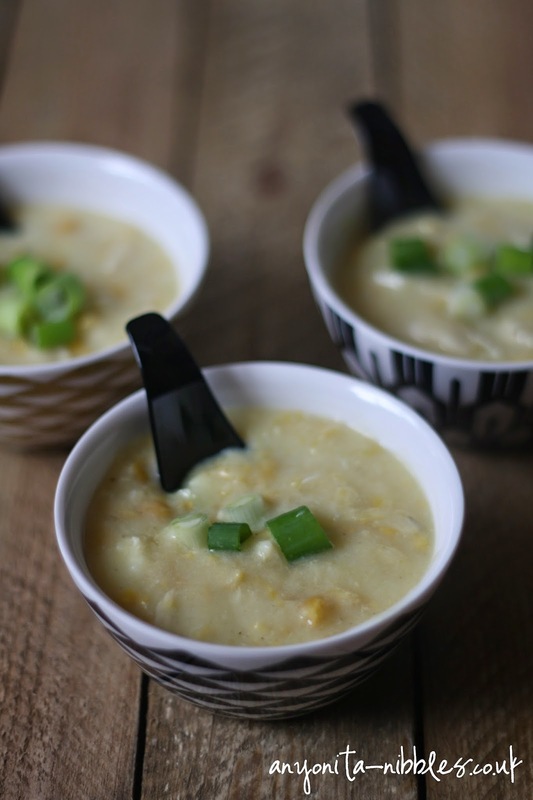 Or if you like your chicken and sweetcorn soup creamy and thick, use creamed corn like I've done. No matter what you use, the soup only takes 20 minutes to make and is ideal for using up leftover roast chicken. 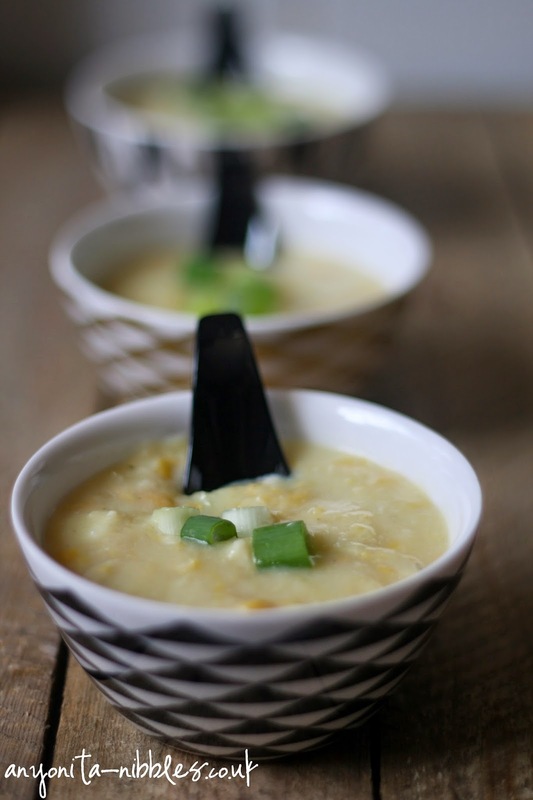 Top the soup with chopped spring onions or scallions and serve a big bowl of it own its own or smaller dishes as an appetizer or soup course. Heat the sesame oil in a soup pan and cook the chicken, garlic and ginger for three or four minutes. Blend the cornflour with a bit of the chicken stock to form a paste and add it to the pan. Pour the rest of the stock in the pan along with the sweetcorn. Bring to the boil whilst stirring. Once boiled, allow to simmer about five minutes. Beat the egg with the lemon juice and slowly pour into the soup pan while stirring the contents of the pan with a set of chopsticks. Season with salt and pepper, sprinkle over scallions and serve.